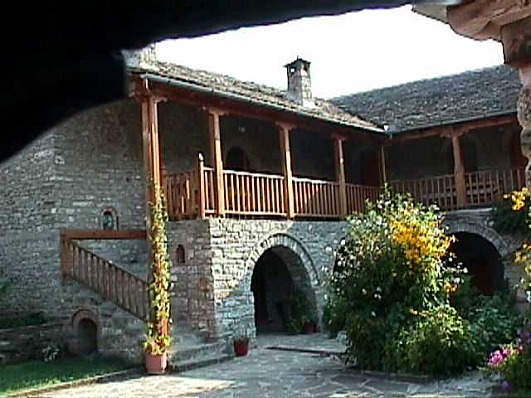 Close to the village Molyvdoskepasto of the region of Konitsa, at the borders with Albania and at a distance of 72 km. from Ioannina, there is the walled monastery which is dedicated to the Dormition of Virgin Mary and celebrates on August 15th. It owes its name, to its roof which in the past had stones of lead. 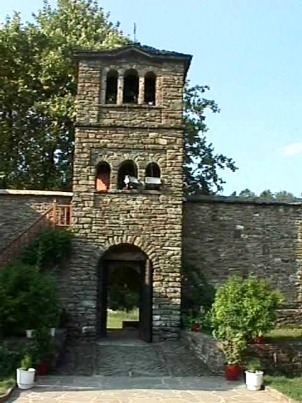 Nowadays the roof of the monastery is made of grey stones. The hall of the monastery is wallpainted. The woodcarving door is a real masterpiece. There are beautiful wallpaintings, woodcarving pilgrimage hall, arched windows with ceramic decoration. The woodcarving iconostasis is of the 16th century and of excellent technique. The church has a cross-shaped roof, a high dome and its floor is stoned. The monastery was probably built by the Byzantine Emperor, Constantine Pogonatos. The sign of the church mentions the year 1521. 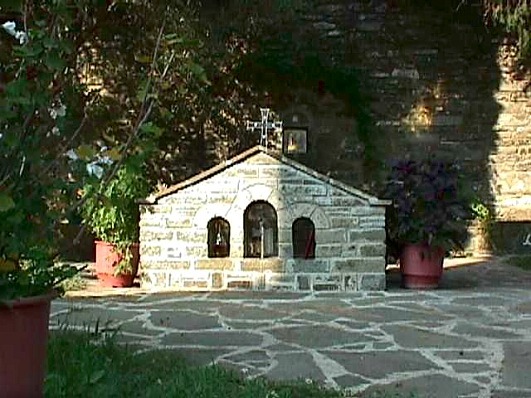 ΣIn the yard of the church there is the simple grave of Sevastianos, the Despot of Konitsa – Dryinouples.